Obama: "On all these issues, but particularly missile defense, this, this can be solved, but it's important for him to give me space." Medvedev: "Yeah, I understand. I understand your message about space. Space for you ..."
Obama: "This is my last election. After my election, I have more flexibility." Medvedev: "I understand. I will transmit this information to Vladimir." "This is my last election. After my election I have more flexibility." That statement tells us much about the president's mindset. The specific mention of missile defense is worrisome enough. Mr. Obama has retreated from the missile defense plan that was negotiated with European allies during the George W. Bush administration. Apparently, he is signaling Moscow that he intends to retreat further. The clear implication from the president's comments is that he cannot tell the American people before the election what he plans to do after the election. In addition, there is the phrase "on all these issues," implying more is at stake than just missile defense." Appeasement: From ObamaCare to recess appointments, honoring the Constitution has not been an administration hallmark. But when it comes to betraying secrets to mollify the Russians, it becomes a document the president hides behind. It was bad enough that the 2012 defense authorization bill signed by President Obama set America on a downward spiral of military mediocrity. He also issued a signing statement, something he once opposed, saying that language in the bill aimed at protecting top-secret technical data on the U.S. Standard Missile-3 - linchpin of our missile defense - might impinge on his constitutional foreign-policy authority. Section 1227 of the defense law prohibits spending any funds that would be used to give Russian officials access to sensitive missile-defense technology as part of a cooperation agreement without first sending Congress a report identifying the specific secrets, how they'd be used and steps to protect the data from compromise. The president is required to certify that any technology shared will not be passed on to third parties such as China, North Korea or Iran, that the Russians will not use transferred secrets to develop countermeasures and that the Russians are reciprocating in sharing missile-defense technology. ..."
Betraying our secrets is easy for a president who betrayed allies Poland and the Czech Republic to placate Moscow. Poland was to host ground-based interceptors such as those we've deployed in California and Alaska, with missile-tracking radar deployed in the Czech Republic. 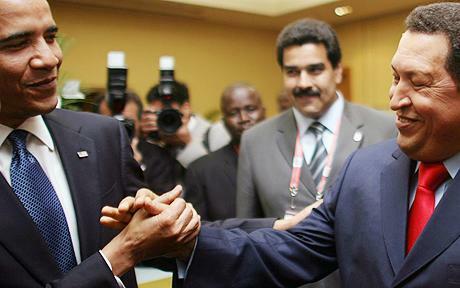 Obama pulled the plug when Moscow objected. Never mind, he said, we have a better approach: a four-phase plan that calls for using three versions of the Navy's Standard SM-3 interceptor missile that forms the backbone of its Aegis missile-defense system. The fourth phase consists of a missile still on the drawing board scheduled for deployment by 2020, a version of the SM-3 called the Block IIB. It would intercept hostile missiles in the "early intercept" phase before an enemy missile could release its warheads and decoys. The Russians want the SM-3's secrets, and Obama appears to be willing to turn them over. The president [Obama] wants to save the New Start Treaty, which the Russians have threatened to abandon if we try to fully implement President Reagan's dream of defeating a nuclear missile attack. Russia has unilaterally asserted that any qualitative or quantitative improvement in U.S. missile defenses would be grounds for withdrawal from the treaty. A video has surfaced of Presidential candidate Senator Barack Obama talking on his plans for strategic issues such as nuclear weapons and missile defense. Thanks so much for the Caucus4Priorities, for the great work you've been doing. As president, I will end misguided defense policies and stand with Caucus4Priorities in fighting special interests in Washington. Second, I will cut tens of billions of dollars in wasteful spending. I will cut investments in unproven missile defense systems. I will not weaponize space. I will slow our development of future combat systems. And I will institute an independent "Defense Priorities Board" to ensure that the Quadrennial Defense Review is not used to justify unnecessary spending. Third, I will set a goal of a world without nuclear weapons. To seek that goal, I will not develop new nuclear weapons; I will seek a global ban on the production of fissile material; and I will negotiate with Russia to take our ICBMs off hair-trigger alert [they are NOT on "hair-trigger alert" now -etl], and to achieve deep cuts in our nuclear arsenals. You know where I stand. I've fought for open, ethical and accountable government my entire public life. I don't switch positions or make promises that can't be kept. I don't posture on defense policy and I don't take money from federal lobbyists for powerful defense contractors. As president, my sole priority for defense spending will be protecting the American people. Thanks so much. "MissileThreat.com is a project of The Claremont Institute devoted to understanding and promoting the requirements for the strategic defense of the United States." "I will cut investments in unproven missile defense systems"
Donald Trump slammed President Obama Thursday on TODAY for failing to take a stronger line against President Vladimir Putin in dealing with Ukraine, saying he feared Obama would now make up for lost time with imprudent moves to "show his manhood." The real estate mogul and reality-TV star, who has criticized Putin for sending military troops into Crimea, said Obama must now take fierce steps to prevent the situation from escalating further. "We should definitely do sanctions and we have to show some strengths. I mean, Putin has eaten Obama's lunch, therefore our lunch, for a long period of time," Trump said. ..."
What were dealing with is the  you know, theres an old proverb that says the Russian bear never dies, it just hibernates. And the truth of the matter is, the weak and feckless foreign policy of Hillary Clinton and Barack Obama has awakened an aggression in Russia that first appeared a few years ago with their move in Georgia, now their move into Crimea, now their move into the wider Middle East. President Trump called Russia a destabilizing influence in Europe and the Middle East, and urged it to join the community of responsible nations, in his strongest remarks yet against the regime of Vladimir Putin, whom he is scheduled to meet Friday in Hamburg for the first time. His remarks in Warsaws Krasinski Square, which marks the 1944 Warsaw uprising against the Nazis, came after the U.S. agreed to sell Patriot missiles to Poland. The president also used the opportunity to reiterate the NATO commitment to mutual defense, a declaration he did not make during the NATO summit in May, prompting consternation among U.S. allies wary of Russias ambitions. RIO DE JANEIRO, Brazil -- Russia's push into Ukraine has put many on edge. But less known is that Russia is also strengthening its military links south of the Rio Grande and re-establishing itself as a power in the region. Vladimir Putin has been strengthening military links here, and Russia is now the largest arms dealer to governments in Latin America, surpassing the United States. Russia has even floated the possibility of building new military bases in Cuba, Venezuela and Nicaragua, and putting its warships permanently in the Caribbean. In the midst of the Ukraine crisis, Russia's top diplomat Sergei Lavrov recently visited Cuba, Peru, Chile, and Nicaragua, where he announced that Russia would also pour money into the new Central American canal project. ..."
Russia agreed to provide military training for three leftist regimes in Latin America and increase military visits and exercises following a visit last week to the region by Moscow's Defense Minister Sergei Shoygu, Pentagon officials said. Shoygu met with defense and military leaders in Cuba, Venezuela, and Nicaragua and signed several agreements on warship visits and military training during the visit, which ran from Feb. 11 to 14. It is not clear whether any new arms deals were completed during the visit. Defense officials said the Russian leader is seeking bases in the region for strategic bomber flights that Shoygu recently promised would include flights over the Gulf of Mexico and Caribbean. Would not be against targets on the Eastern and Western seaboard being eliminated, sure get rid of many of these Leftist snowflakes..
Wow - all in blue states. Maybe Putin is Trump’s hey-boy. It wouldn’t be the first time the media got things exactly backwards. Russian President Vladimir Putin has said pursuing further sanctions against North Korea is useless, saying theyd rather eat grass than give up their nuclear programme. The US said on Monday it would table a new UN resolution on tougher sanctions in the wake of the latest test of a nuclear bomb by the North on Sunday. Mr Putin also said that the ramping up of military hysteria could lead to global catastrophe. He said diplomacy was the only answer. "The two sides [China and Russia] shall, in the spirit of partnership, strive to promote the multipolarization of the world and the establishment of a new international order." "Joint war games are a logical outcome of the Sino-Russian Friendship and Cooperation Treaty signed in 2001, and reflect the shared worldview and growing economic ties between the two Eastern Hemisphere giants." Why are we still paying the Russkis to take American “astronauts” into space? Not cool to think it would be ok for millions of Americans to die . Oh but Putin helps Trump get elected. Uh huh. Leftidiots really believe that, too. While the revelation of a secret meeting involving Robert Mueller in the delivery of uranium to the Russians, by itself, does not prove anything of a criminal or unethical nature, it does raise questions that merit an investigation. After all, when Mueller was FBI director under the Obama administration, he was trusted enough by Secretary of State Hillary Clinton to carry out this mission. If it was a diplomatic mission, why was the FBI director involved? And if it was a law enforcement mission, why was Clinton involved? Former Secretary of State Hillary Clinton facilitated a uranium exchange with Russian law enforcement by former FBI Director (and current chief Deep State inquisitor) Robert Mueller. The exchange was exposed via a recent Wikileaks publication of a secret cable between Hillarys State Department and the Russian embassy. Hillary sent Mueller to Moscow with orders to turn over a 10 gram sample of highly enriched uranium (HEU) which was obtained during a shadowy 2006 nuclear sting operation conducted in the Georgian Republic. The ostensible reason for the transfer was to engender further trust between Russian and American law enforcement in the area of nuclear materials and to learn more about how to trace nuclear materials. But when it comes to Hillary and Russian uranium interests, the shady Uranium One deal cannot pass unnoted. 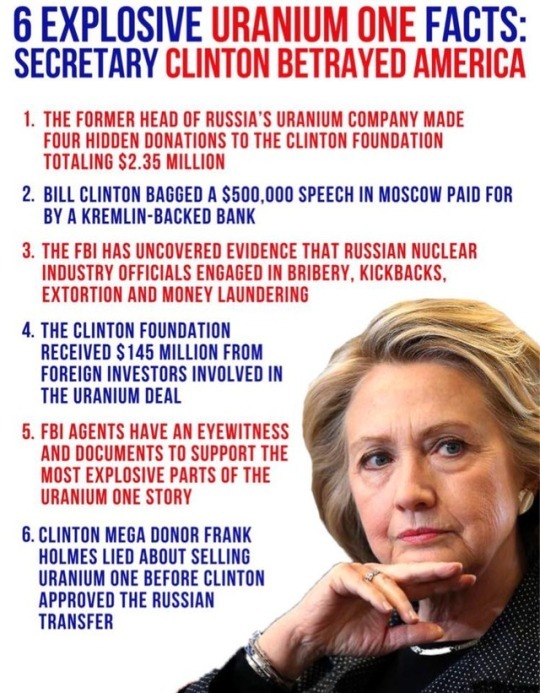 There still has been no real investigation into how Hillary gave permission for a Russian company to acquire a quarter of the North American uranium reserves after Russian interests poured hundreds of millions into the Clinton Foundation and gave Bill Clinton six figure speaking fees. At the very least, this exchange raises serious questions about the ability of Robert Mueller to do his job as special prosecutor on the Russian collusion charges since he already has connections to major figures in Russian law enforcement. Special Counsel Mueller Literally Handed Uranium to the Russians! We all know that the Russian Collusion investigation is nothing but a game to try and distract the population from actually caring about the day to day running of the country, but the charade has gone too far and some serious questions need to be asked; most especially of Special Counsel Robert Mueller. WikiLeaks has put out a document that details then FBI Director Muellers itinerary on his visit to Russia to deliver 10 grams of Enriched Uranium. Mueller hand delivered Highly Enriched Uranium to the Russian government! He has wasted money right and left. Amazingly, hes hired people like [Andrew] Weissmann that worked with him and [Rod] Rosenstein in investigating the Russian illegal efforts to obtain our uranium which they quashed information in order to allow the sale to go through so that Hillary could get the $145 million for her foundation. So it is really outrageous. Hes covering for himself at the same time hes trying to have a coup against the president. Former Senator Al DAmato (R-NY) dropped a bomb on Sunday Morning Futures this AM. DAmato told Maria Bartiromo that Hillary allowed Russia to take ownership of US uranium so they could sell it to Iran. Hillary made it possible for the Russians to take control of one of our huge uranium producers and allow them to own the company, export the uranium and who do they sell the uranium to? Iran! In January 2013, Pravda celebrated the Russian atomic energy agencys purchase of the company Uranium One in Canada. That same company, Uranium One, owned uranium concessions in the United States. Because uranium is a strategically important commodity, the Russians would need approval from the Obama administration, including Hillarys State Department, before the purchase took place. Nine shareholders in Uranium One just happened to provide more than $145 million in donations to the Clinton Foundation in the run-up to State Department approval. The New York Times reported on the crooked deal in 2015. As the Russians gradually assumed control of Uranium One in three separate transactions from 2009 to 2013, Canadian records show, a flow of cash made its way to the Clinton Foundation. Uranium Ones chairman used his family foundation to make four donations totaling $2.35 million. Those contributions were not publicly disclosed by the Clintons, despite an agreement Mrs. Clinton had struck with the Obama White House to publicly identify all donors. Other people with ties to the company made donations as well. Senator John Barrasso (R-WY) told Greta Van Susteren the deal Hillary approved gave Putin ownership of 20 percent of US uranium and Russia sells uranium to unfriendly countries, including Iran. Remember those side deals Obama forged with Iran that were not part of the text of the official treaty? Now we are finding out some of the details. Yesterday, the Washington Free Beacon reported that Iranian officials confirmed they have received at least $10 billion in cash, commodities, and assets from Washington since 2013. And that is likely a conservative estimate. But cash is not the only thing the Islamic Republic of Iran is receiving for gracing us with their willingness to sign onto our own capitulation. 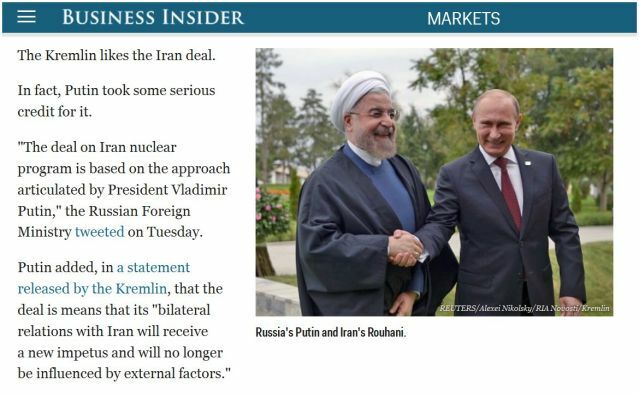 The AP is reporting that Russia, with the support of President Obama, is shipping Iran 116 metric tons of natural uranium. Despite present restrictions on its enrichment program, however, the amount of natural uranium is significant should Iran decide to keep it in storage, considering its potential uses once some limits on Tehrans nuclear activities start to expire in less than a decade. I don’t care how fast their missiles are, it’s still M.A.D.ness. There’s no way to avoid escalation. The only way to do it would be to assume that a first strike would cut the head off the U.S. allegorical snake and thus avoid retaliation. for over 70 years since the height of the cold war the U.S. has diversified and made redundant it’s command and control. Something thats not often talked about in regard to Obamas statement...this is my last election. Notice how its a definitive statement? Not, if I win the election, after my election, I have more flexibility. The fix was in. I guess I will have to dig out my “On The Beach” DVD. The original Peck, Gardner, Astair version (1959). Me thinks that the NeverTrump and Resist movements have created an image (real?) of a divided and weakened America more intent on self destruction than a nation united againt its enemies. Despite the personal strength of the President, Putin smells blood in the water.